Our experienced team at Statewide Tree Management are knowledgeable in all aspects of tree maintenance and servicing in North Brisbane. Our qualified team of arborists are here to help maintain your trees to ensure yourself and your property are safe in the future. At Statewide Tree Management, we have 25 years experience and are able to offer you expert and professional tree trimming and pruning. Remove problem trees safely and get professional advice on tree health from our team of trained arborists and tree specialists. 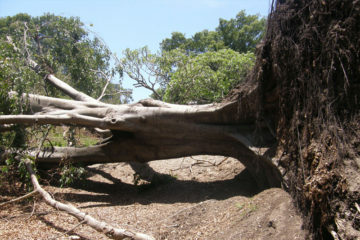 At Statewide Tree Management, we are your tree specialists and here to take care of all of your tree removal needs. Our close-knit and highly experienced service and management team share over 25 years in the tree services industry in North Brisbane, and are specialists in tree trimming, tree removal, stump grinding, storm damage clean-up, palm clean-up, palm removal, mulching, tree lopping, emergency assistance and tree advice. 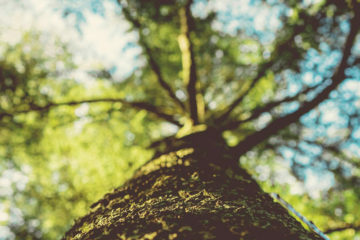 Our vast knowledge and years of experience enable us at Statewide Tree Management to offer you the best possible advice and solution, tailored to your individual situation. Our highly trained and skilled team of tree service professionals are able to help you in a range of tree removal needs as well as being qualified as arborists, loppers, trimmers and tree pruning professionals. At Statewide Tree Management, we pride ourselves on our commitment to quality customer service. We understand how important the look and safety of your property in North Brisbane is, which is why we always aim to take the utmost care and work to the strict health and safety guidelines when providing our services. We work on a fair and honest pricing system and offer you a competitive tree-service that will exceed your expectations while enhancing the look of your home, every time. Each and every staff member at Statewide Tree Management is committed to the protection and preservation of the environment. 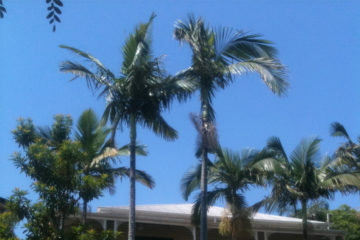 We work closely in the North Brisbane area and have a huge amount of respect for the local community. We are committed to managing our environmental impact by complying with environmental legislation, utilising sound business practices and understanding the environmental expectations of the local community. Our highly trained personal will always aim to act in a way that prevents or reduces adverse impact and we assess our environmental performance on a continual basis. Together we strive for a greener future and comply with the Environmental Protection Act. 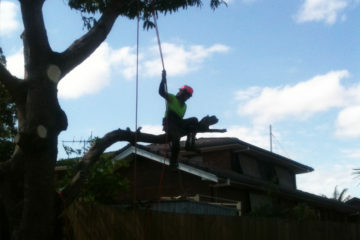 With a reputation for great service, safe workmanship and a trusted team of experienced tree arborists it’s not wonder that Statewide Tree Management are the number one tree specialist in the North Brisbane area. If you are interested in learning more about our services as tree loppers and removalists or any of the other arborist services Statewide Tree Management offers to residents in North Brisbane, please feel free to get in touch and our friendly reception team will be happy to assist. You can call us directly on 0400 446 693 or fill out our online enquiry form on our contact page and we’ll get back to you as soon as possible with a free quote. Thanks for the excellent job that you and your team completed here. I was impressed by the professionalism you displayed at all times beginning with the initial quote right down to the final clean up. I am very pleased with the results and would recommend your hardworking and friendly team to anyone. I am writing to congratulate and thank you and your team on the fantastic work you completed for me. I appreciated receiving an accurate quote upfront for all the tree services I required and the advice given to me as to the best ways to go about landscaping. My garden has never looked better and the tricky jobs including removing heavy branches were completed with ease and without any dramas. Thank you Gavin and team, I will definitely recommend you to my friends!